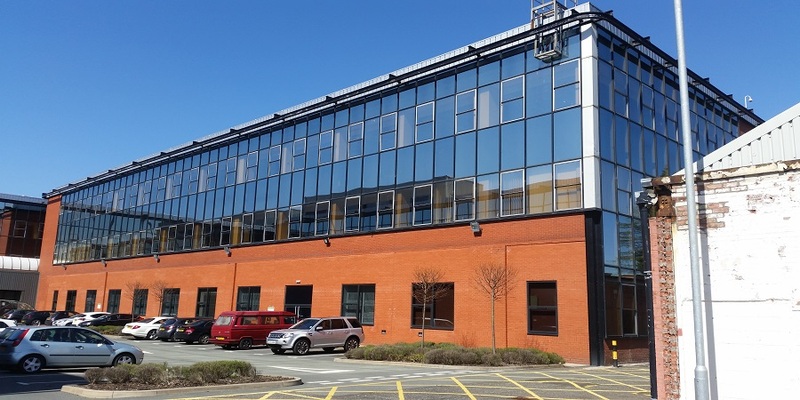 Kilby House is a 35,000 sq ft gross building on the Liverpool Innovation Park, a mixed used business park with some 300,000 sq ft of accommodation located about 2 miles to the east of Liverpool city centre. Occupiers of the Park range from large scale tenants who tend to be public sector and especially healthcare through to numerous small start ups, sectors include digital design, marketing and financial services. There is a nice historic link with the telecoms industry – the site was originally the home of Plessey who became part of Marconi (GEC renamed itself as Marconi in 1999) – Marconi vacated the site in 2001 when it was subsequently acquired by the North West Development Agency. This is where System X was built, the 2nd national digital telephone exchange system used in the UK. By the end of ’90s all of the electromechanical exchanges had been replaced and the UK’s trunk network was the first national telephone system to be fully digital. Plessey had occupied Edge Lane for over 100 years. Aimes built out the first phase of their data centre here in early 2013, having first started elsewhere on the campus in Baird House with an initial “server room” of 1000 sq ft. A DR suite of desks and office accommodation is also available from AIMES. Given the historic manufacturing background there remains substantial power and space capacity to develop the data centre capacity here further. Networks available on site Virgin, BT, Vodafone, Level3 and Consol.